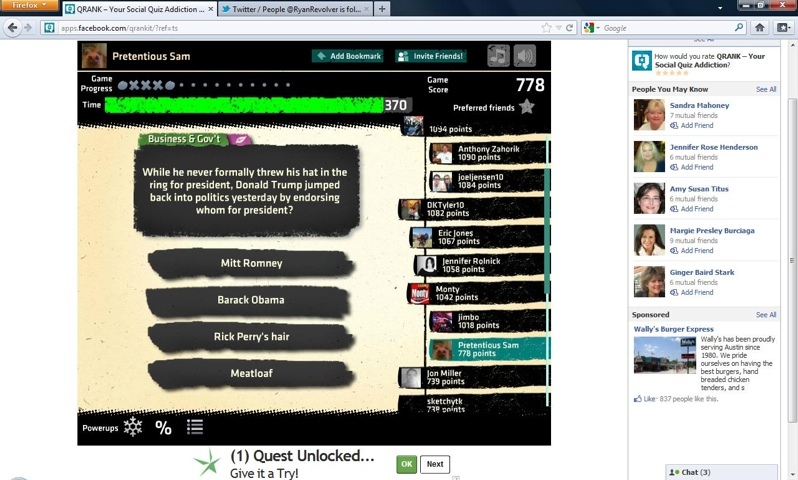 Darkivist @RyanRevolver discovered that Rick Perry’s Hair was the answer to one of today’s QRank questions. On his twitter feed @perryhair2012 , Rick said: “…that’s great news! Unfortunately though, Trump chose to endorse Mitt”.